Glee is an outdoor living and garden tradeshow of its own kind. It's the best way of discovering top market products while sourcing unique products from various categories on show, perhaps to set yourself apart from your rivals and be inspired by the best. Glee is a great place to view hundreds of fresh products new in the market while discovering the future trends of buyers and meeting more than 500 suppliers from around the UK and beyond. Glee Birmingham 2016 will take place at the NEC Birmingham in the UK from 12th of September to the 14th. If you've been to a garden trade display before, you probably haven't seen anything like Glee, if the organisers, the i2i Event Group, are to be believed. The event brings together over 500 top international and leading wholesale suppliers of garden products with new products in their thousands being showcased to help you set your own range as apart as you can from any competition. Concurrently, you’re also able to receive guidance and advice that helps you to boost your business by challenging the prevailing trading constrictions and varying conditions. The event also offers attendees a chance to see the latest and changing trends including highly innovative products already selling. One of the best things in any tradeshow is to learn from the best experts and specialists even as you enjoy seeing great products and items. At Glee there're always a good number of experts in different industries offering insights and giving advice. For instance, in Glee 2016 Ann-Marie Powell will feature, the founder of Ann-Marie Powell Gardens, a television gardening presenter, award winning gardening designer, author and journalist. She's also an RHS Chelsea Gold winner in 2010, 2011’s Silver Flora and RHS Hampton Court 2015 medallist. She has designed some of the most creative and eye catching display gardens for the British Heart Foundation, Green and Black's as well as the Macmillan Cancer Research. She’s currently the selected specialist to design Royal Horticultural Society's RHS Garden officially for Chelsea 2016. Another include the Diarmuid Gavin Designs founder, Diarmuid Gavin, a Royal Dublin Society twice gold medal winner for garden design that appeared in 1995 and 1996 at the RHS Chelsea Flower Show. Diarmuid also appeared in BBC's Diarmuid's Big Adventure in 2004, a documentary series on him as created and planned gardens. There're so many highlights at the show that finding quality, best and bright product suppliers is not really hard. One of the highlights is the Green Heart section that has been growing more than ever before. Glee 2016 is expected to welcome additional growers than Glee 2015's event. The Green Heart will be creating a grand greenhouse based at the Atrium. There you'll find lots of things on display from Christmas trees, shrubs, labels, plants, benches, houseplants, bedding plants, ornamentals, herbs, display systems and accessories, among others. Another feature and highlight is the retail inspiration insights and advice at the seminar theatre, a partnership between Horticultural Trade Association and Glee. As a result, diverse seminars and relevant insightful content will be provided by prominent speakers within the industry. The inspiring talk offers attendees a chance to learn from experts and peers in open forums and case studies. Glee 2016 will see diverse presentations and workshops carried out on how to attract the younger shoppers to experience Garden Centre while converting the young shoppers to enjoy the unique retail experience presented to them. Around the food area you'll come across diverse food suppliers and catering ideas, great for anyone thinking about setting up a cafe or a grand catering spot. Glee tradeshow seeks to bring attendees and key suppliers together. Through a partnership with GIMA, the event now has a GIMA Business Lounge creating a wonderful place for meetings to take place, attendees to take a much needed break and to catch up with key people in the industry as well as suppliers. The Lounge also holds a unique speed networking event where selected exhibitors will meet visitors in the show for ten minutes to engage in unique power-networking sessions. Through a partnership with Gardenex, Glee also offers an International Buyers Connect event. This brings together buyers in the tradeshow to attend introductory meetings for ten minutes with possible new suppliers, email facilities, cloakrooms access and free refreshments. The Glee tradeshow is not complete without having events geared towards the growth of the industry. Through the Innovators Zone, the event offers start-ups that are new in the industry or those that recently launched to the gardening world a chance to market themselves. Most of the innovators have great new products everyone should see and only need a platform to showcase them. 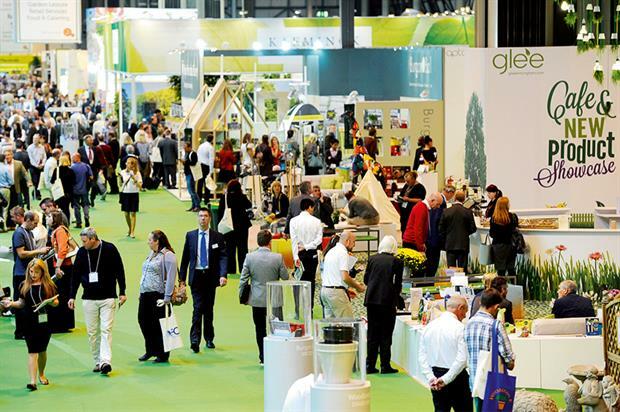 The Glee 2016 tradeshow will feature thousands of exhibitors exhibiting thousands of products from both international and UK wholesale garden suppliers. Some of the exhibitors include Smart Trading EU Ltd, Belstane Ltd, The Pot Company, Southalls, Algon Organics, Allsorted Ltd, Alex Brands Juratoys, Anglo Aquatic Plant Company Ltd, Apta, Artefactos Pereira, Artevasi, Artform UK Ltd, Bathgate Horticulture, Bbq Gourmet Ld and Beefayre among others. Glee tradeshow happens at The NEC (National Exhibition Centre), Birmingham, B40 1NT, UK easily reachable via direct flights from different global and European cities. The NEC has the Birmingham International railway connection where trains departing London Euston station leave every 60 minutes to Birmingham. With a good map you'll find the NEC signposts across the motorways while the National Express Coach will take you directly to Birmingham from various airports and cities around the UK. During the duration of Glee are diverse accommodation options to suit all manner of budgets inside Birmingham City Centre or close to the NEC.